He also wants a new election law. 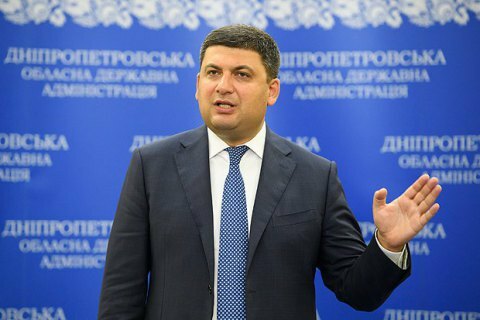 Prime Minister Volodymyr Groysman has said he is planning to take part in the next elections to parliament, according to Interfax-Ukraine. "I plan to take part in the next parliamentary elections," Groysman said at a meeting with regional journalists in Kyiv on 27 February. "I will take part [in elections] to fight for making specific decisions," he added. He also mentioned the need to address the issue of the new electoral system. "This issue needs to be resolved before the elections - the issue of a new electoral system. The parliament passed a good law at the first reading, which can be finalized by the second reading, which concerns open party lists," Groysman said.